Summer squash are highly nutritious, tasty and very low in calories. Squash are native to the Americas and come in a wide variety of shapes and colors. Squash is rich in Vitamins A and C, in the form of beta carotene, antioxidants that help prevent cancer, heart disease and some eye diseases. Squash has about 135 micrograms of beta carotene per cup of squash and about 2,400 micrograms of lutein, the antioxidant that helps to prevent cataracts and macular degeneration. Depending on the variety, most summer squash contain only about 35 to 45 calories per cup. Squash also contains magnesium, fiber, folate (B6, B1, B2, B3 and choline), phosphorus, potassium and Vitamin B6. The edible seeds contain valuable omega 3 fats and many of the anti-oxidants are contained in the squash skin. The skin is fragile and should be protected from bruising. Squash helps fight fatigue and supports digestive health. The magnesium in squash has been shown to help in reducing high blood pressure and preventing high cholesterol. Vitamin C, present in all variety of summer squash, helps to prevent premature aging and inhibits cancer growth. Squash can be served raw in salads or used as swirls of vegetable spaghetti. It should be steamed or grilled rather than boiled or cooked for long periods of time, which causes a breakdown of nutrients. Summer squash should be used within three to four days after purchase and should be stored in the refrigerator until use. A large variety of locally grown summer squash is available today at the Growing Growers Farmers Market in Firemen’s Park in McAllen, on the corner of 1st Street and Business 83. 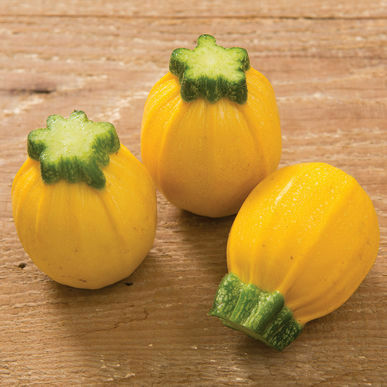 Market growers provide varieties not usually found in grocery stores, including the green and yellow eight ball zucchini, that are perfect for stuffing. Also available, is the large, dark green scallop type, that is great for spiraling. The Growing Growers Farmers Market is open from 9 a.m. to noon today. Grower, Juanita Ramos, will be grilling several kinds of summer squash for sampling, and free recipes can be picked up at the market welcome desk. Don’t miss this opportunity to add some delicious and healthy squash to your holiday weekend. Barbara Storz is a local horticulturist. You can listen to her garden show on at 7 a.m. Saturdays on 710 KURV Radio. You can email her at bstorz@rcommunications.com.